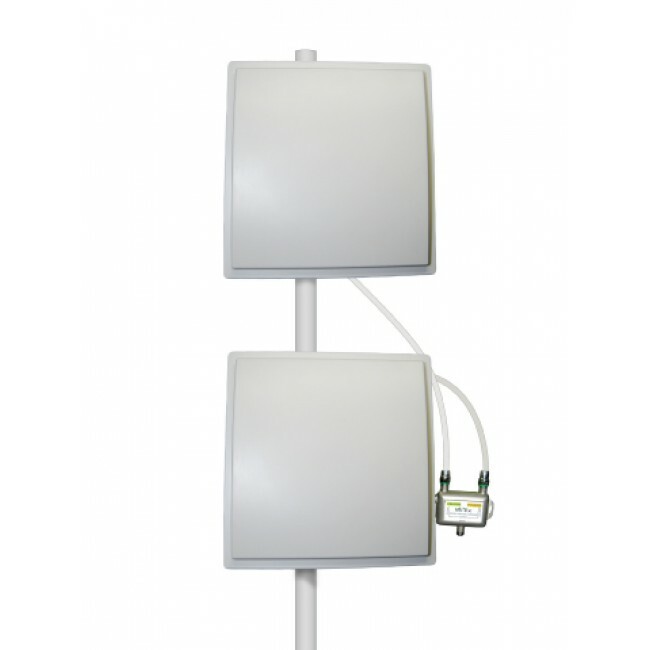 The Wi-Ex zBoost Dual-Band Directional Outdoor Signal Antenna (YX039) is a directional antenna replacement that works with Wi-Ex zBoost signal boosters and can dramatically improve performance in areas with a weak signal. This Wi-Ex zBoost Dual-Band Directional Outdoor Signal Antenna (YX039) is the perfect accessory to the YX545 and YX540 dual band amplifiers in areas with a weak outdoor signal. 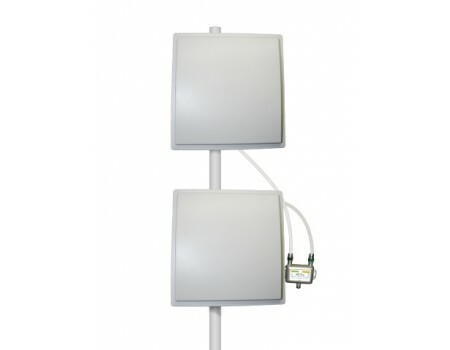 Each panel is specially designed to work with the two frequencies used in dual-band systems. The 850 Mhz panel has an 8 dBi gain and the 1900 MHz panel has a 13 dBi gain. Each additional 3 dBi of gain translates to a signal that is twice as strong so this antenna system can make your zBoost signal booster significantly more effective in areas with a low outdoor signal. And because each panel can be aimed independently, you can aim them at different cell towers to support multiple carriers in your area. This antenna is included in the YX545 Premium kit. The YX039 comes with two panel antennas, two short coax jumper cables, a two was splitter to combine the signal from each antenna, and mounting hardware to attach everything to a pole. The pole is not included. Two short jumpers and a combiner are included.